Ever wonder who was the first to develop or implement digital camouflage? According to research done by the authour of Hyperstealth, the answer isn't as easy as you would think. 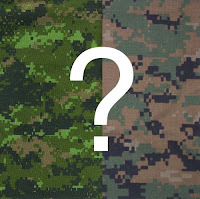 Between the challengers of MARPAT and CADPAT, the winner is CADPAT. MARPAT is in fact a direct derivative of CADPAT, created through the USMC's interest in the Canadian invention, and a collaborative exchange between the two nations. 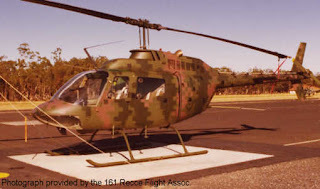 However, as Mr. Cramer states, a little known pattern called Dual-Tex was the very first digital camouflage pattern to be implemented. This pattern was in use as far back as the 1980s! Check out all the details here: Click me! Update (May 12th 2010) - As Lawrence from Strike - Hold! points out, there was nothing digital about the Dual-Tex pattern, it was only made to resemble pixels. That being said, I suppose CADPAT is the first true digital pattern to be implemented. If you haven't checked out Strike - Hold! before, take the time to look around and subscribe to the RSS feed, it's a great blog.